Today during its keynote address during Google I/O, Google showed off its Latitude location-based service running on the iPhone. 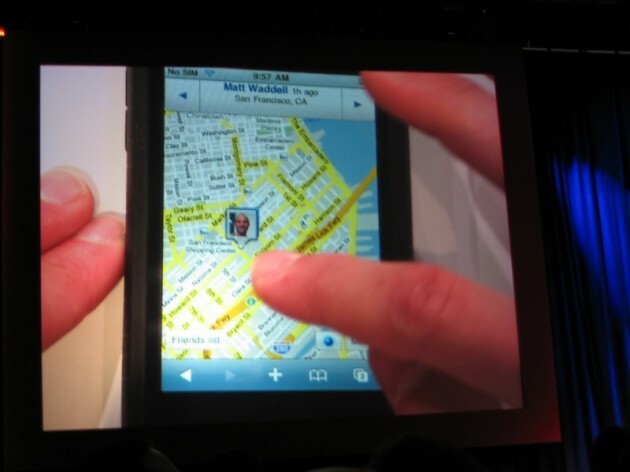 This is notable because so far, Latitude hasn’t been available on the huge popular smartphone. Instead, not surprisingly, Google opted to focus on getting it running on Android. 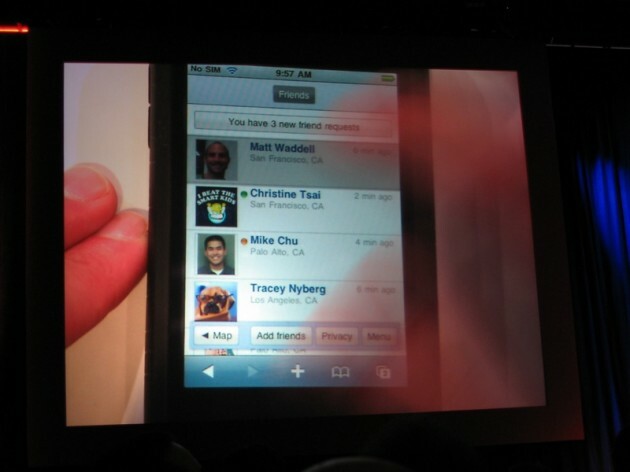 But it’s coming, soon, with the launch of the iPhone 3.0 software this summer. But also interesting is that the reason Google has been waiting for the 3.0 software is because it’s not actually creating a native iPhone app for Latitude — as all other location-based services on the iPhone are — instead it’s using the Safari web browser to run Latitude. Thanks to HTML 5, Safari will be able to access a user’s location information and Latitude will be able to access that as well (provided the user gives permission). This will put it on par with what Google is doing in its browser for Android . Of course, you still mostly likely won’t be able to run Latitude in the background with it being on Safari. That’s the thing that is really holding back these location-based services on the iPhone. Hopefully Apple is getting closer to allowing background apps — at least in a limited form.